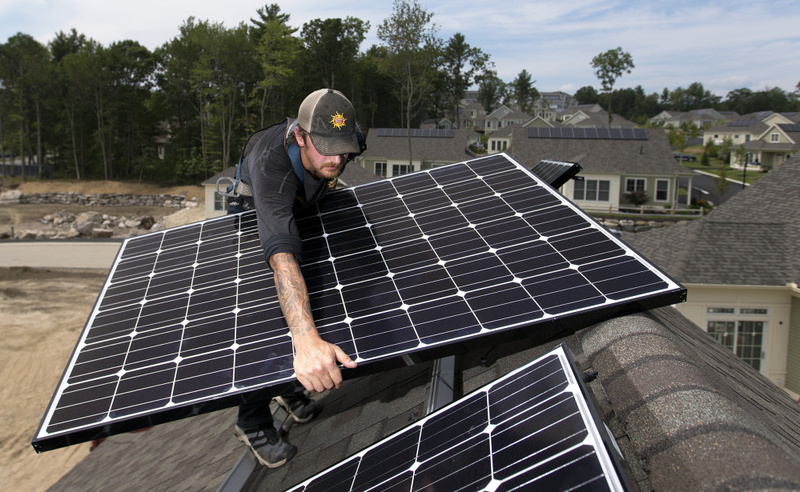 Thursday's ruling is a blow to solar advocates who have fought the new rule that reduces credits to homeowners. The Maine Supreme Judicial Court has dismissed a legal challenge to a controversial new solar energy rule, saying the dispute should go to a lower court instead. The ruling Thursday is the latest blow for solar advocates who have fought the state Public Utilities Commission over a new rule that reduces the credit that people with home solar panel systems receive on their energy bills. But the head of the Conservation Law Foundation in Maine said the environmental advocacy group will now continue its fight in Superior Court. Harry Lanphear, the PUC’s administrative director, declined to comment in detail but said he was glad to see the court’s decision. “They agreed with our position, so we’re certainly pleased with that,” Lanphear said. Under an approach called “net metering,” utilities have long been required to credit small energy generators the full retail price for the electricity they don’t consume and instead send into the power grid. Now, because of the new rule that took effect in March, that credit will gradually decrease over time. Although solar panel systems installed before the rule are grandfathered at the full credit, that exemption will expire in 15 years. Net metering was developed in the 1990s when roof-mounted solar panels were relatively new. It was meant to encourage renewable energy development, and it has become common across the country. But critics, including Maine Gov. 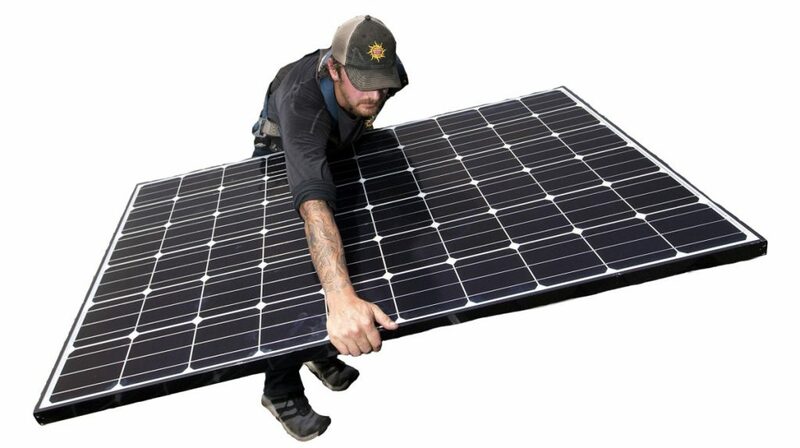 Paul LePage, say net metering shifts costs to other customers and is unnecessary as solar panels become less expensive. For three years in a row, LePage has successfully vetoed bills that sought to change Maine’s solar energy policies. One aimed to encourage more solar generation in the state. Another tried to preserve net metering. 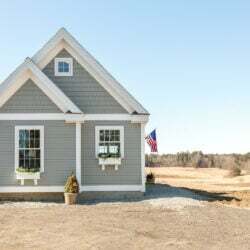 The most recent would have prohibited utilities from requiring that solar energy users install a second meter to monitor their electricity generation. Last year, the Natural Resources Council of Maine, industrial customers and solar installers joined the Conservation Law Foundation in its initial complaint to the Supreme Judicial Court. They challenged provisions in the rule that assess a transmission charge on solar customers for the electricity that they generate and use at home. “This is like our grocers charging us for the vegetables we grow in our own gardens,” Tony Buxton, the lawyer representing the foundation, told the justices during oral arguments in December. The PUC, however, argued that the new rule reflected a lesser need for incentives. “This is what is always done with incentive programs,” Mitchell Tannenbaum, the lawyer representing the PUC, said at the time. During those arguments, the justices were already questioning whether it was appropriate for the state’s top court to handle the case. Under Maine law, challenges to PUC rules typically go before Superior Court judges first, but the law foundation appealed directly to the Supreme Judicial Court. The foundation had argued the rule was actually a rate change, which can be appealed directly to the higher-level court. The justices ultimately dismissed the foundation’s appeal of the rule. In her written opinion, Chief Justice Leigh Saufley said the foundation is required to take its case to a Superior Court before it can come before the Supreme Judicial Court. “Because all of the issues raised by the (foundation) in this appeal are challenges to the commission’s exercise of its rulemaking authority, whether or not they are couched in terms of ‘questions of law’ related to that appeal, we do not, and should not, have jurisdiction over direct appeals from a rulemaking proceeding,” Saufley wrote in the opinion. Mahoney, the head of the law foundation, said the goal of bypassing Superior Court was to speed up the case. The foundation was trying to avoid going to the lower court, where a decision for either side would likely be appealed. Now it will have to restart the process, filing a new complaint in Superior Court by the end of the month.